I was lucky enough to spend a couple of months in Vietnam about six or seven years ago, and I’m still spinning from the intoxication I felt when getting my greedy chops into the local cuisine. I fell head over heels for everything I ate, previously only having had an inkling of what awaited me from reading Anthony Bourdain’s brilliant culinary odyssey A Cook’s Tour. Dishes are aromatic, tangy, soulful and herby. Light, crispy, chewy and comforting. Studded with mountains of fresh zingy herbs. Soup broths have so many levels of flavour. The food is prepared simply, yet tastes uber-sophisticated. I prefer Vietnamese cooking to other Asian food, sneaking above Thai (which I love) and Indian (which I also adore). That’s how highly I rate it. Anyway, what I’m kicking myself about is that I didn’t try the chicken curry (ca ri ga) when in Vietnam itself, as there was just so much other stuff distracting me on the menu. To discover this mindblowing dish, I had to wait to eat it in Crystal Palace SE London at a lovely Vietnamese cafe called Urban Orient, but it was worth the wait. 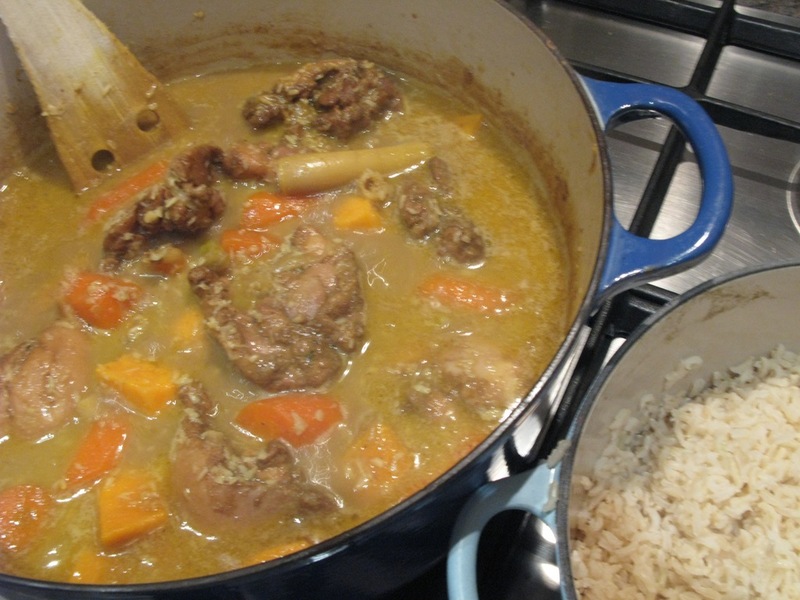 Their curry was delicious, and so is this one, which is a variation on a recipe by Californian chef Mai Pham. Ca ri ga is hearty and light at the same time, if you can imagine that. 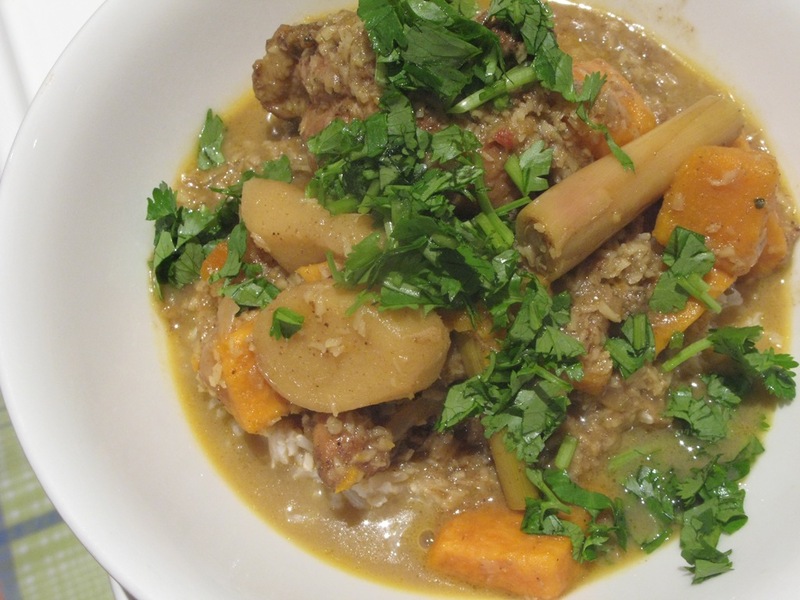 It tastes of coconut, ginger, lemongrass and is given umami moreish-ness by fish sauce. It will make your soul happy if you’ve had a crap day. Make it – you won’t regret it. 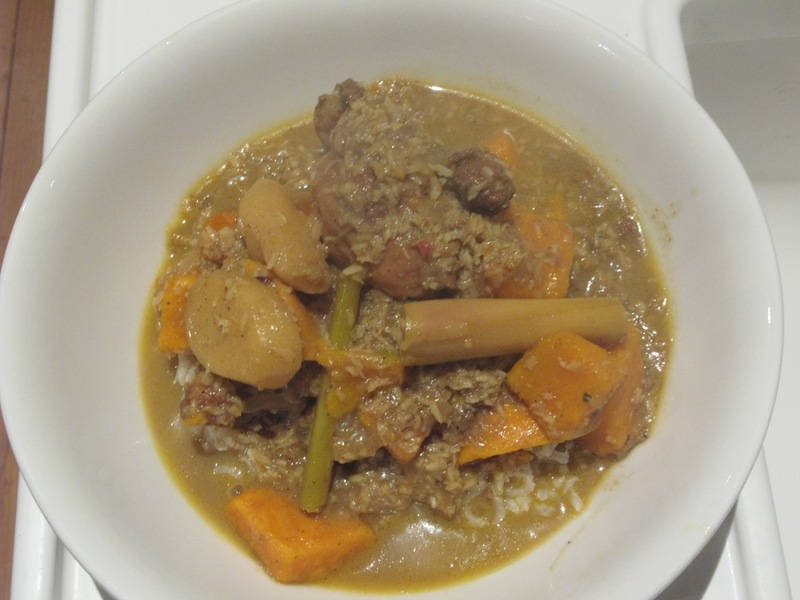 Oh – and perhaps, controversially, I added some desiccated coconut to the dish as well as adding the usual coconut milk. I KNOW. I wanted to up the coco-nutty texture to thicken the sauce slightly, and we didn’t have any coconut cream in the cupboard. It was a risk I’m glad I took as it tasted absolutely delicious, NOT like a savoury coconut Bounty Bar, which I was worried it might do. Retro! 8 skinless chicken thighs (you can use them boneless as I did here, or with the bone in). Free range is a MUST! 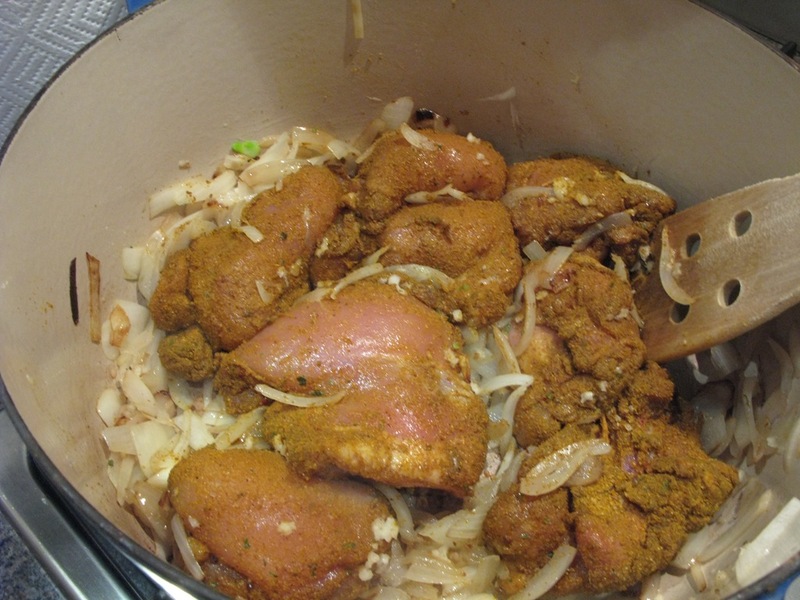 Marinate the chicken thighs with the curry powder and salt for about 30 minutes. Then heat the vegetable oil and fry the diced onion for a few minutes until soft and translucent,. Add the crushed garlic and fry for a minute, before putting in the chicken thighs and frying for 5 minutes until starting to brown. Chuck in the chopped chillies, fish sauce, lemongrass and ginger pieces and fry for a minute or two more. Add the chicken stock and the carrots and bring to the boil, letting everything bubble for 10 minutes. Then add the coconut milk, dessicated coconut (if using) and the chunks of sweet potato, and let everything bubble away for another 10 – 15 minutes, until the sweet potato is tender. Serve with basmati rice (brown is very nice with this) and sprinkle with chopped coriander, fresh chillies and garnish with fresh lime wedges. Savoury Bounty Bar could be delicious, in a kind of salted-caramel kind of way? PS. I once used salted butter in some biscuits, and Ali told me they tasted “like a swimming pool” hahaha. You can marry me tomorrow when I come round! ← Crystal Palace: A new foodie paradise?